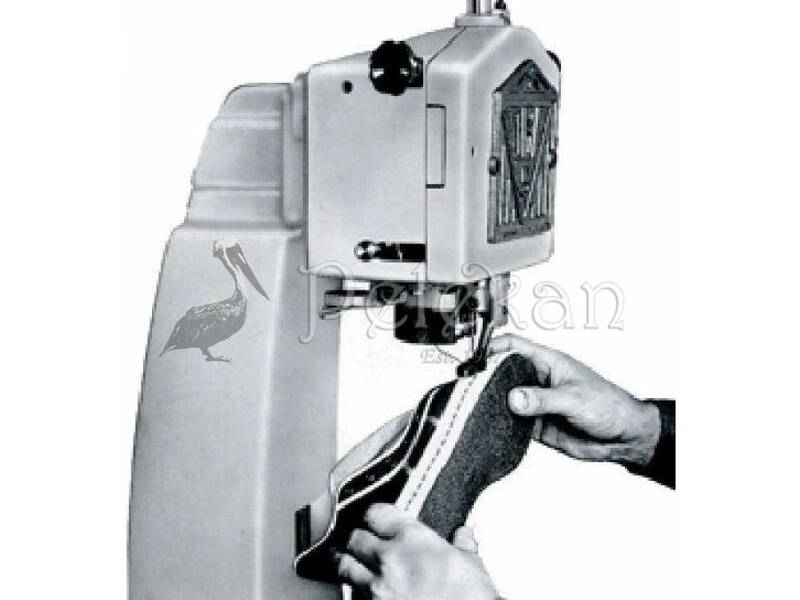 Lockstitch sewing machine OBE 5. Stitching sewing machine for soles with a heated dual thread. 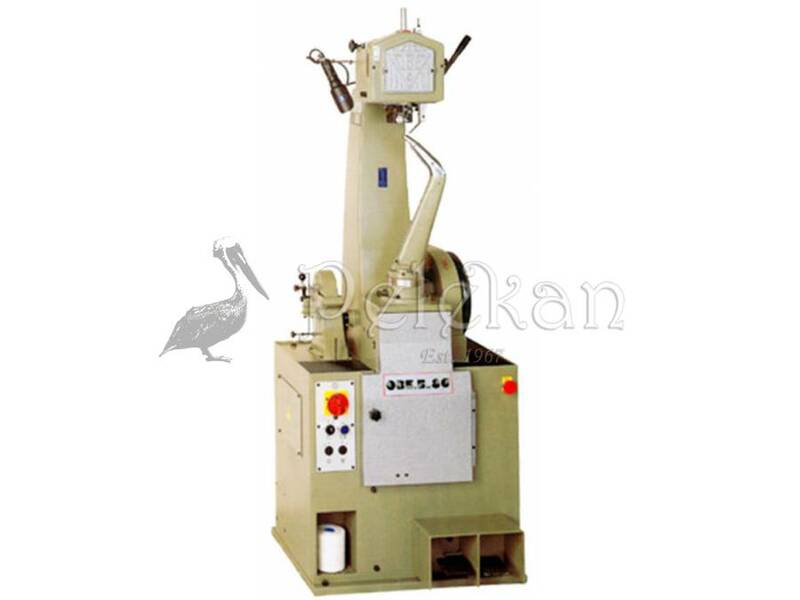 Lockstitch sewing machine with two spools of threads , suitable for repaires and small industries. The machine OBE 5 works with both three-phase and single-phase motor with built-in clutch. 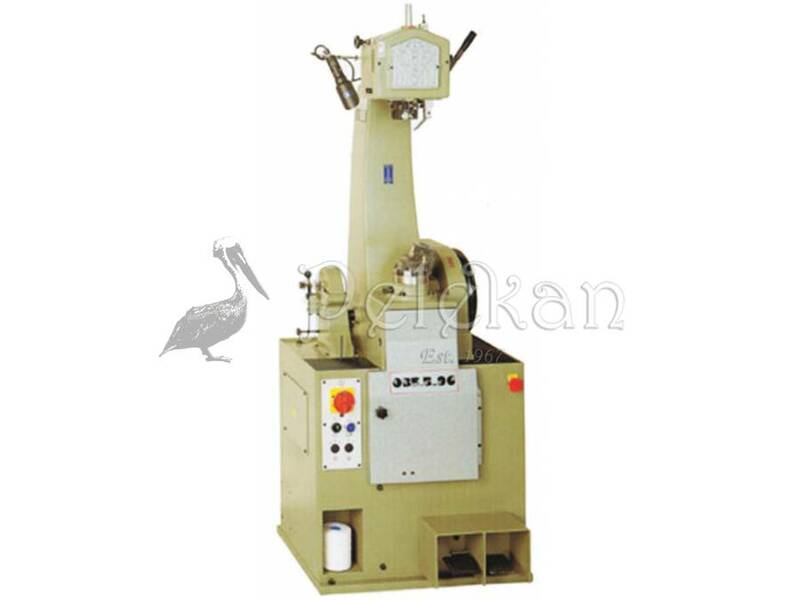 Electrical system of heating is at low voltage for pitching hot threads of the spool. 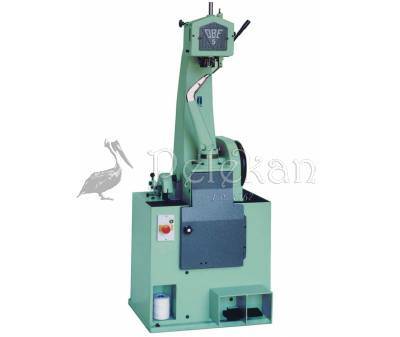 The machine is equipped with 3 operating modes for sewing leather soles, rubber and other material. The horn of the machine, with a simple and easy change of the base, allows classical (conventional) stitching and sidewall stitching and sport shoes stitching. 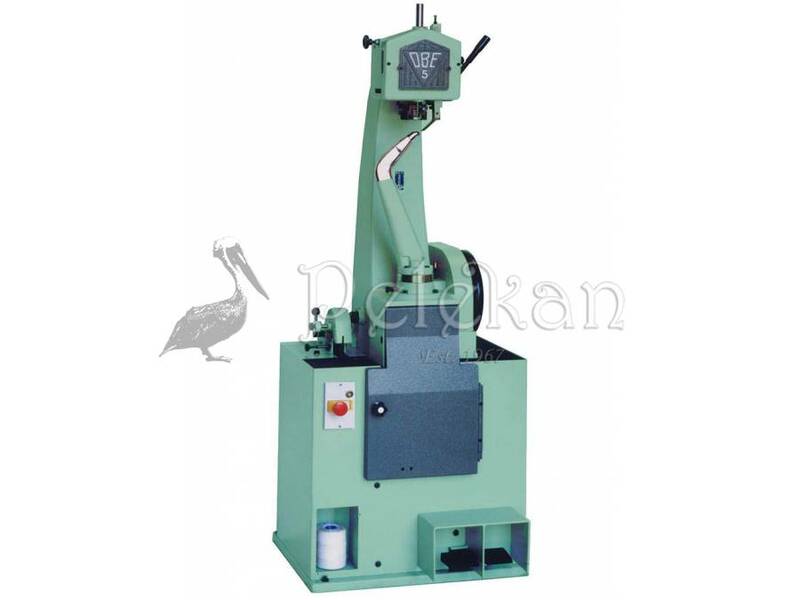 The presser conveyor can be raised either by hand or foot. The pressure rod is adjustable. The stitch length is adjustable from a minimum of 3 mm. to a maximum of 14 mm. Sewing speed: 120 or 160 stitches per minute, at the request 180 points / minute. 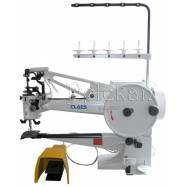 The machine sews thicknesses up to 27 mm. 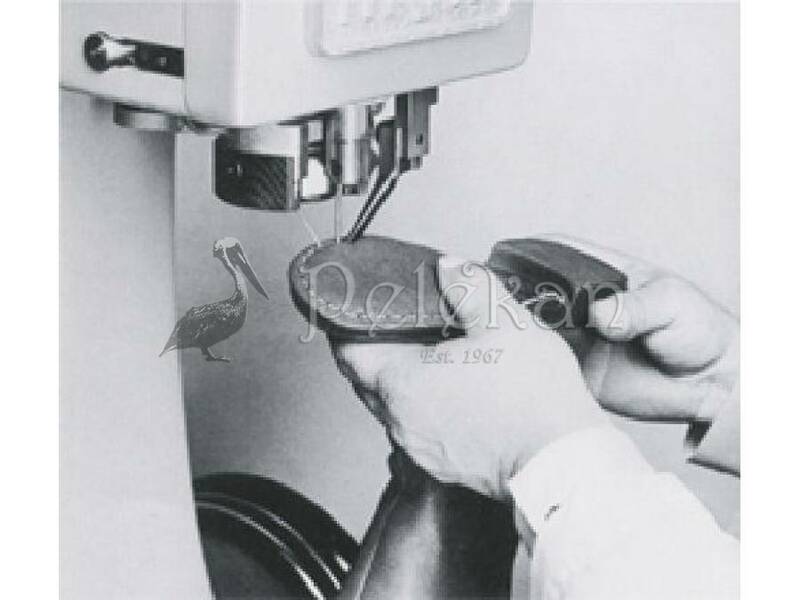 The horn has been designed for sewing any type of shoe and boots up to 50 cm of height. (Depending the horn has been adapted). 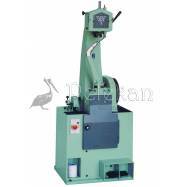 The machine supplied with CE mark is made in conformity with the 89/392/ CEE rules for the safety against accidents and with the 89/336/CEE rules for the electromagnetic computability. 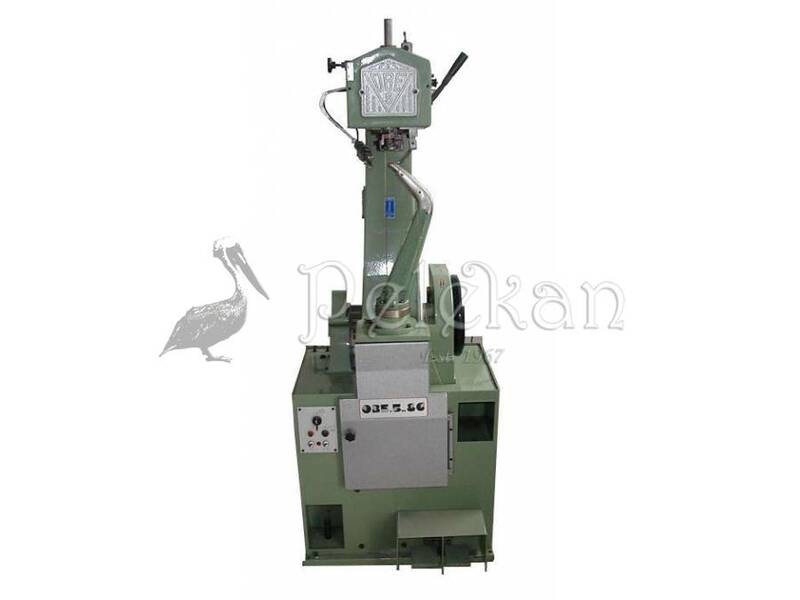 The machine price is INDICATIVE and represents OBE 5, OBE 5/86, OBE 5/86 RB models (OBE5 OBE586 OBE586RB). For any order through our online store, the offered discount of 12% (VAT included) applies. To purchase the sewing machine, however, you should first contact our head office on the phone +30 211 7109441, since the sale price and transportation costs may vary.